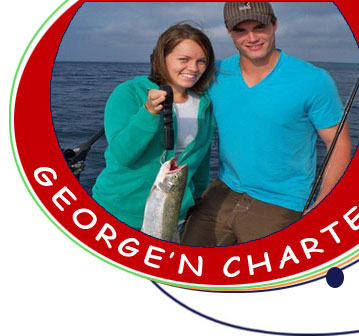 George'N Charters offers full service fishing charters fishing southern Georgian Bay. 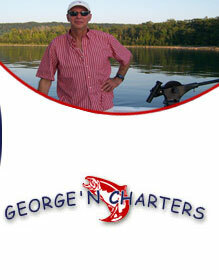 Georgian Bay fishing is world-class fishing and is Ontario's best-kept secret. Come drop the Walker downriggers on a Baha Cruiser 277GLE. With 27' 7" length and 9' 6" beam there's plenty of room and shelter for your adventure for lake trout, rainbow trout or Georgian Bay salmon. 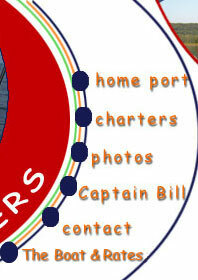 Family-friendly charters and Corporate groups are welcome. Hotel rooms, Georgian Bay cottage rentals or other accommodations can be arranged with one toll-free call along with your charter! We look forward to seeing you on Georgian Bay soon!